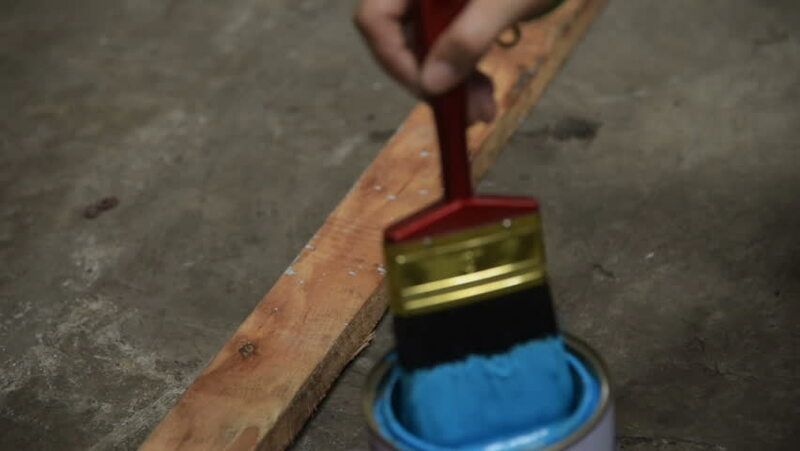 The hand of a paint man holding a painted brush painted blue on a wood. hd00:12Blacksmith hammering the end of an Iron bar into a hook. hd00:08A hot water drop shoots out of a copper pipe while it's being heated up with a propane blow torch. hd00:07Removing weight plates from a barbell in a gym.